Ubud Monkey forest, one of the attractions in Ubud that must be visited. Ubud monkey forest attractiveness as a vacation spot, located in the protected forest is still beautiful and there are many monkeys in the forest. Monkeys that inhabit the monkey forest Ubud domesticated. To maintain the safety and security of visitors, many officers stationed in the forest areas. 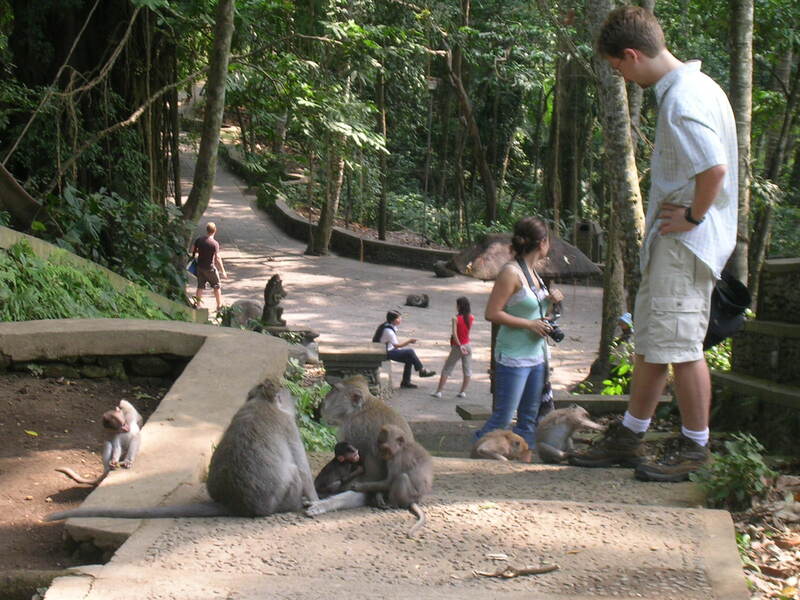 Most visitor attractions monkey forest of Ubud is the tourists who vacation with children and families. In addition to the holiday by visiting the famous sights in Ubud. Ubud Bali tourist area is also very famous for rafting activity locations. Activities rafting in Ubud, carried on the Ayung river. One of the reasons many tourists who enjoy rafting on the Ayung River Ubud, because activity of rafting on the river Ayung Ubud is fantastic, with the river flow is not strong. Pura Taman Saraswati Ubud. A temple dedicated to worship the Goddess Saraswati. Taman Saraswati temple carvings are typical of Ubud Bali, has a lily pond, around the stage Balinese dance performances. One type of Balinese dance that staged is Kecak Dance. 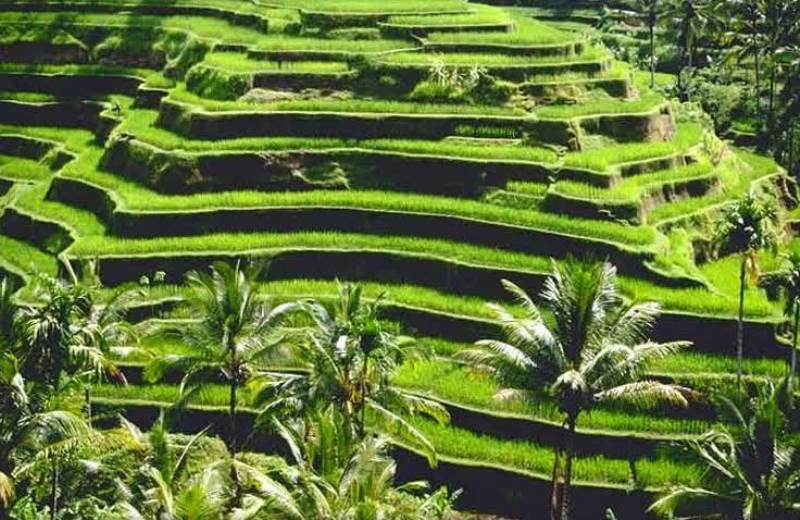 Attraction in Ubud Tegalalang rice terraces, you will be able to see the expanse of rice terraces with passable steep slope. There are many roadside cafe on the edge of rice fields, with a direct view of Tegalalang rice terraces. If the reader hooked to hang out with the natural landscape, the attraction Tegalalang rice terraces of Ubud, one of the sights that required the reader to visit. Most tourists who visit Tegalalang rice terraces, is a leisure traveler discharged from the tourist attractions Kintamani. Because these sites Kintamani one way to Tegalalang rice terraces. 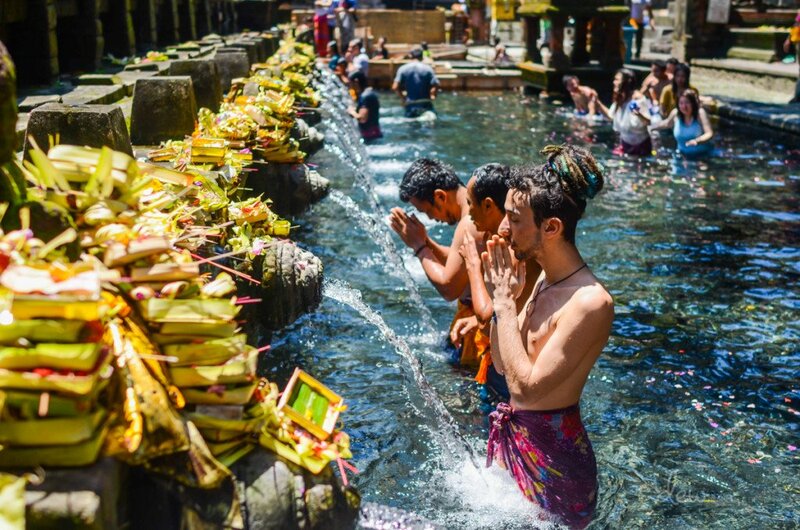 The main attraction of attractions Tirta Empul temple Tampak Siring, located at the source of natural spring water in the temple area. Water from a natural spring, piped gets outside of the temple in the form of pancoran water. Water from pancoran very clear and cool. That’s the destination of tourism in Ubud, Bali that can you choose if you visit Bali Island.